3 bedrooms, 2 full baths, sleeps 6 comfortably. Furnished living, dinning and bedrooms with brand new modern furniture. Fully equipped kitchen, laundry and terrace areas with stainless steel appliances, cooking and silverware, washer/dryer and patio furniture. Excellently kept private grass garden with gas BBQ. Air conditioning units and fans in all three bedrooms and ceiling fans in the living/dinning area. Linens and towels are provided for short-term rental. Screened windows with accordion storm shutters. Cable TV, VCR and I-pod port. The complex features three pools, kids pool, jacuzzi, gym, tennis and basketball courts, playground for kids, gazebo for private activities and jogging/walking trail. Controlled access security 24/7 and two assigned parking spaces (25/26). Excellent! Cousy, clean and exceptional owners! Very nice garden. With BBQ, very clean and cousy! Webt with my wife and three kids and we really enjoyed this apartment! Highly recommended! Very well maintained and clean condo close to all activities. The owners were very helpful and always available to answer any questions or concerns. The rooms were very nice and comfortable. They had a small cooler and beach fold out chairs you can use at luquillo beach. The pools were perfect and grounds well maintained. I liked the 24 hr security and checked everyone that came in. I will definitely come back to this condo when we visit Fajardo again !! The place is beautiful, the inside of the apartment is amazing. 3 bedrooms. One is a queen with private bathroom, the 2nd room has 2 twins, and the 3rd one has a full/queen bed with a slide bed under it. And a full bathroom as well on the hallway. The kitchen is a nice size with everything you need. We used the washer & dryer and they were new. Also, it has a grill which we also used at night to cookout side in the private yard. It has 2 parking spaces and security guard 24hrs. I really enjoy my stay. Ps. it has beach chairs, beach toys, a cooler to take w/you. The place is just great. Thank you so much. I cannot say enough about our wonderful stay at Pena Mar.we spent three weeks here and wished we could have stayed longer.jose met us on our arrival with the keys...the condo is clean,nicely furnished and supplied with everything you need and also very secure. It was so nice to have the patio and also the yard.The pools are all beautiful ...we virtually had the pools to ourselves....we had four twenty years old with us for a portion of our stay and they enjoyed the gym and basketball court. We have been to Fajardo many times and have always stayed at a nearby hotel but decided on renting the condo because we had our grandchildren joining us.... We will definitely recommend this property to everyone and hopefully will be back soon ourselves. "Dear Jose, Thank you for letting us stay at your beautiful condo. This was a great place to stay with our family. It was comfortably furnished, clean and we had plenty of space. The water heater broke on the 2nd day of our stay, but you quickly took care of it (on a Sunday!) and we had no further problems. Thank you for being very friendly, responsive and informative! We would love to come back again one day. We will definitely recommend your condo to our friends and family." Car is needed if you want to go to the beach or visit other places in PR. Walmart, Walgreens and several other convenience stores are closeby, but not within walking distance. Very close to the ferry docks. We had a great time!! 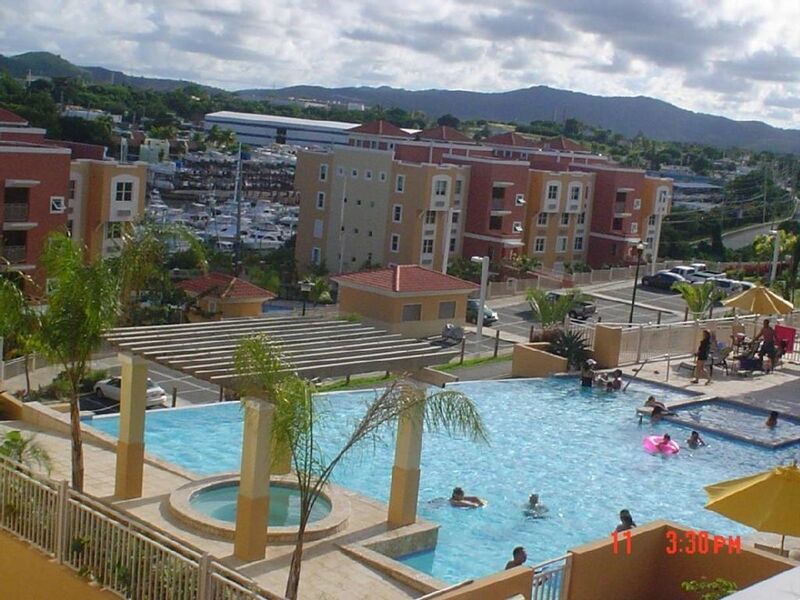 Excellent location in Fajardo! You will be surrounded by marinas, plazas, restaurants, resorts, and beautiful beaches within 0 to 20 miles from the cozy apartment. Festivals, tours and other activities around the year. Other Activities: Kayaking, lighthouse tours, luminiscent bay, rainforest, water park.